What does a new edition say about us? What does a magic item say about our character? 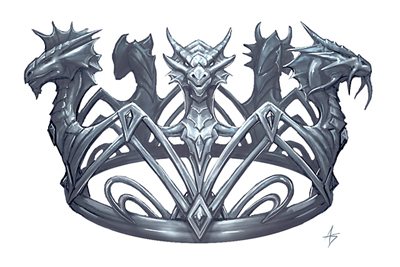 D&D Next looks at magic items this week, in a post by the awesome James Wyatt. The article examines how PCs should gain magic items as they increase in levels and touches on the amount of magic items appropriate when starting PCs at a higher level. 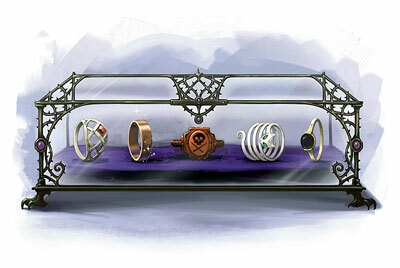 The article centers on one concept: the number of permanent magic items a PC should earn during play. The article concludes that AD&D granted roughly 7 magic items to a level 20 PC. Extrapolating from math, it says a 3E PC would have 30 magic items, while a 4E PC would have 24. D&D Next continues to embrace bounded accuracy, meaning that magic items aren’t necessary for fair combat or proper gameplay. To help DMs, they will provide guidelines – a level 20 PC would have about 6 items. There are variant suggestions for low or high magic, or a DM might use no magic at all. However, I have a very different opinion: The strength of magic isn’t some absolute number of magic items, but rather the relative strength and interaction of some of those magic items. It is worth noting that I discussed D&D Next and Magic Items previously. 1. 8th-level PCs defeat the evil lord’s 20 warriors, and each foe wielded a +1 weapon. 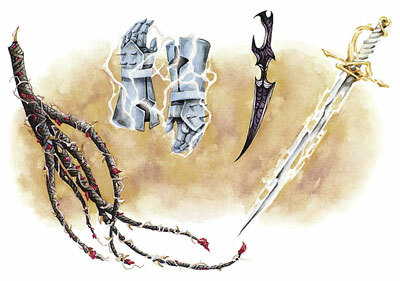 The PCs are wielding +2 weapons and have suitable backup/alternate weapons. 2. 8th-level PCs find a treasure chest. Inside is a ring of wishes and a cube of force. Is there any doubt as to which has the biggest impact on PC and party power? Focusing on a total number of magic items also ignores a far more important question: how magic items interact with the PCs and the campaign. More detail below, but an easy example is comparing a flaming sword across editions. It is a fun item in 1E, but can be the gateway to complex interactions with a PC’s build in 3E and 4E, resulting in tons of additional damage (through granting keywords, etc.). Five flaming weapons might be of no benefit to a PC in 4E, but a single frost weapon might be hugely powerful to the very same PC. Importantly, extrapolating from guidelines is folly. Looking through my 12th-20th level AD&D PCs, they have far more than 7 magic items. Page through classic adventures and they are loaded with magic items. Key encounters can easily offer each PC 1-2 very strong magic items… and there can be multiple key encounters in a single adventure (often 1-2 levels of play for a PC). That guideline just isn’t accurate, and drawing conclusions from it is folly. In 3E, the guideline is high, because the assumption is a spread of magic items based on a gold piece total. In reality, PCs found roughly the same number of magic items as in 1E and 2E, but sold them and converted them to stronger magic items. Or, they took the gold and crafted stronger items. Organized play really showed this reality across levels of play. A PC retiring at 18th level might have accumulated tons of magic, but in the end they had sold and converted that into a narrow set of important items. Interestingly, magic items were very important. It was often said that in organized play a player would rather see their PC die than lose magic items. Take away that 3E rogue’s ring of blinking and see how the player goes ballistic! 4E was similar. The big cap wasn’t what the DM doled out, but your item slots. 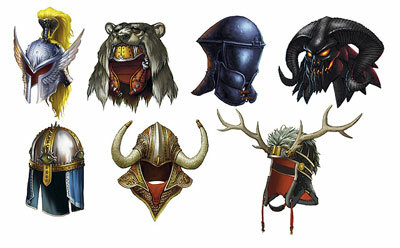 As in 3E, you can only wear one hat or helm, so you discard any that are inferior to the one you are currently wearing and gladly upgrade or replace the item with gold if you can afford to do so. Take any five organized play PCs and ask the players which has the most powerful magic items… the analysis won’t be on the total number of items a PC has but rather an examination of the items themselves and what they provide for the PC. A really interesting observation is to look at high level PCs and figure out the most critical magic items for their build. 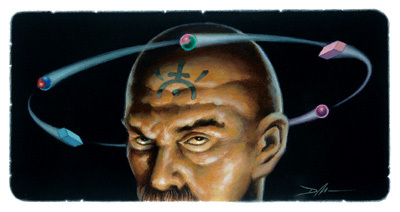 A 4E PC often relied upon a very low-level magic item that provided a key capability (extending teleport distances, allowing a PC to ignore opportunity attacks when charging, etc.). Single items of high level could be hugely important. In 3E, an item like an orange Ioun stone was critical (increasing your caster level to completely change how enemies were impacted by spells). An item like a cube of force could change how encounters played out each day, making PCs practically invulnerable to some foes. Focusing on the number of magic items fails to account for any of the above factors and paints an incorrect picture on what would provide balance or positive gameplay. Realistically, in most settings DMs want to give out magic items and players want to earn magic items. Players will want to sell useless items and buy useful items. Players will replace items and don’t need duplicates (two helms). 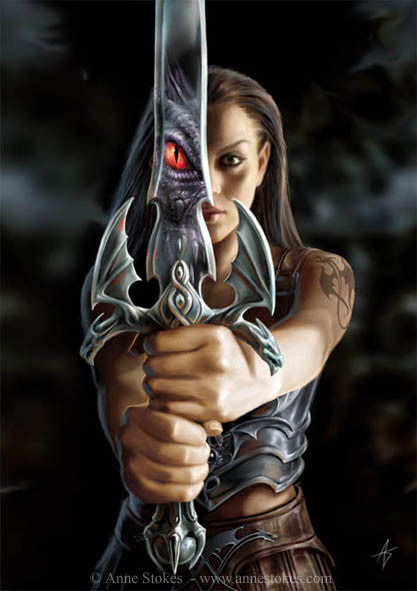 Therefore, the answer on number of magic items is largely known: PCs will have one item per slot (head, armor, shield, neck, gloves, arms, boots), a few miscellaneous magic items, and either a couple of implements or one weapon per attack type (a primary melee weapon, a small weapon if they normally wield a large one, an off-hand weapon if they fight two-handed, and a ranged weapon). That’s your number of magic items: 11-14 or so. You will likely go through many more and you start with none, but across your career you will likely end up at that number with a few in storage. But, again, the total number isn’t the important factor. What questions are better than asking the total number of magic items? Let’s focus on how magic items create an interaction between the items, the PCs, the three pillars, and the campaign itself. 1. How important should magic be to the game? Should having a magic item be special, or be taken for granted? How much better should a PC with a magic item be than one without one? Two fighters of the same level are fighting a monster. One of the PCs has a +3 sword, the other a mundane sword. Does it matter? It is hard to imagine that you don’t want to be playing the PC with the +3 sword, because hitting is fun. Even with bounded accuracy, increasing your hit % is important. Delve into miscellaneous magic and the difference can be even greater. Classic magic items can grant wishes, forms of movement, strong protections, greater utility, and permanent stat boosts. In general, I like magic being important. The reward of treasure is compelling. Sifting through different items and discovering their qualities is fun. Items should be balanced, but I think the game plays best when magic items are important to the game and improve a PC. On the other hand, they should not be the most valued part of a PC or define what the PC does! 2. Should magic items interact with a PC’s build? There is power in a +1 flaming sword. There is even more power if that flaming aspect causes every hit to trigger some power. 3E and 4E really cemented the concept of magic items enabling and furthering a build. Like feats, magic items rewrote the rules of what a PC could do. 4E placed strong limits on flight, for example, or teleportation. A single magic item could change that. 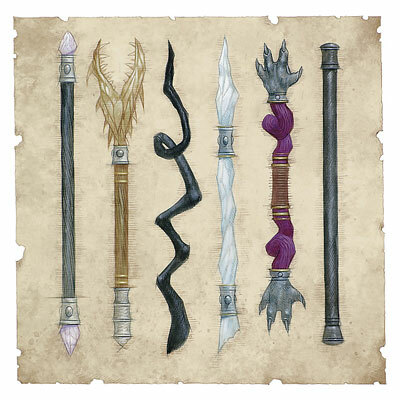 The interactions were vital – my Epic tier warlock’s combat concept depends upon specific wands that enable his powers to work in certain ways. Though it is fun to have complex interactions between PC builds and items, I think the game is better when there are very few interactions. This makes it easier for item choices to be driven by character personality (she identifies with cold) than build interactions (frost allows a feat to always work). Even more importantly, it increases the likelihood that new magic items are interesting to the player. With 3E and 4E, a PC is so dependent on specific item interactions that the vast majority of other items become of no use or interest to the PC. Level after level can become bland in terms of magic item use. That said, the next point could be a nice substitute for those missing complex interactions. 3. Should a PC’s magic items evolve or be discarded? How vital are items to PC definition? When my relatively low level rogue gains a +1 flaming sword, how long should I expect to hold onto it? Do I become known for wielding a sword that drips flame? Or, does the very next room hold a +1 luck blade? There has been some discussion around signature items. 3E toyed with the concept in Living Greyhawk, and a few editions have had items that evolve over time (including 4E’s items that scale across level). On one hand, variety is really neat – wield a flaming sword for an adventure, then a luck blade the next. On the other hand, it is cool to be able to have a magic item evolve with you. In Living Greyhawk the dwarves of Keoland rewarded my dwarf with an axe of frost. It slowly evolved with my character and remained my primary weapon until my final days – I added other enchantments to it over time, making it Giant-bane and Holy in addition to its cold powers. I tend to favor the concept of the signature item for weapons and implements and would like a system by which those evolve. Rather than find tons of magic blades or staves, I would prefer to have the magic be bound to certain elements and be able to be pulled from them and into my current item. My frost blade can gain a hilt wrapped in sigils, which also make it a luck blade (perhaps at a reduced power due to being used as a modification). Levels and other balance considerations would be needed. My desire for variety could come through miscellaneous magic. 4E PCs had utility powers that I really enjoyed; maybe Next could provide that utility through miscellaneous magic and various item slots. It could make finding a chest of treasure just as interesting, while allowing PCs to have unique iconic concepts (I wield a sword of flame and fortune, and I have cool items that let me do neat tricks). 3E devoted a lot of attention and energy to detailing how magic items are customized, sold, purchased, crafted, etc. There were many exploits and traps. I don’t want such a convoluted system. Simplicity is the key in keeping the system approachable for new players and minimizing the rules (and loopholes) DMs must master. 4. How does magic interact with the adventuring day and the campaign? An orange ioun stone, a Daern’s Instant Fortress, a ring of wishes, a portable hole, Bucknard’s Everfull Purse, or a cube of force all vastly change how a party level interacts on a daily basis with challenges. In some cases, these items impact the campaign itself. Should that be the case? I think it should. The DM controls item placement, so they can choose whether to introduce something like a ring of wishes or an item that allows planar travel. The DMG can provide proper guidance in dealing with powerful magic (how to account for a higher caster level) and how the campaign world itself reacts to campaign-altering magic. These campaign-level interactions can be really rewarding when done right. Here there is a choice between being realistic and being simplistic. A realistic approach aims to reproduce what a PC would actually get if they had played until they reached that level. Most editions ended up underestimating the amount of treasure. But, a PC that gets to choose items has a great advantage if they get to pick items. PCs in 3E and 4E could pick very powerful choices that enabled their build. For Next, the AD&D approach of rolling on random tables seems the most likely to meet the goals of stepping away from incentivizing such powerful builds. But, my vote is for using the simplistic approach that 4E introduced. Take an item of your level, one a level below, one a level above, and enough gold to buy a few consumables or a very low level item. That’s a really fast choice. You end up with fewer items, but because you pick them they are strong and lasting choices. That’s my pick. In one of our playtests we ran a level 10 adventure. The current rule for magic is that higher level PCs don’t start with any magic items. One player misunderstood and used the 4E rule for 3 items (see above). That player’s PC was stronger than the other PCs at the table. That’s okay, but it underscores that magic remains important to the game. Bounded accuracy is good, but it doesn’t overcome a player’s desire to hit more often. Magic items in the final playtest packet seem to resemble the jumbled approach of 1E and 2E – some really neat choices and some that are far blander. The concept of item details/qualities is great, but we haven’t seen it properly implemented. Measure the importance and strength of magic items not in absolute numbers of items but in the interactions created by magic items. Assume PCs in most campaigns will eventually have a magic item in every slot, 2-3 implements or weapons, and some miscellaneous magic. Keep magic important to the game, but limit how items interact with a PC’s build. Keep the focus on discovering cool rewards and the PC being the most important concept in the game. Players should value their PC’s life (and their class, race, feats, and background) far above their gear. For PCs of higher level, use the simple 4E system of one item at level, one above, one below, and enough gold for consumables and a very low-level item. Strengthen the Magic Item Details concept so that it comes into play more often for important magic items. The concept can really make magic interesting and personal. Create a system for signature magic items, which can evolve as the PC increases in level. Consider gaining Item Details and being able to merge item powers so a PC can customize rather than always replace their important weapons, implements, and armor. Provide DMs with guidance on how to handle magic items that greatly benefit a PC, impact the adventuring day, or alter the campaign. Expect the PCs to sell excess magic and provide a system for that. DMs should expect this and be provided with knowledge and tools to handle wealth in the campaign. Institute a means by which PCs can rush attunement. 10 minutes can be too long in some adventures, especially if the item is central to the story. Continue to support a low-magic or no-magic campaign. 4E’s inherent item bonus system was excellent and allowed us to run Dark Sun’s Ashes of Athas organized play campaign with a very low level of magic items and almost no monetary wealth. This entry was posted on October 20, 2015 by Alphastream and tagged 3E, 4E, 5E, AD&D, Challenge Level, Magic Items, Playtesting.